Martin is coming to BET in style. The '90s Martin Lawrence sitcom will be joining the BET schedule with a three-day launch marathon that will feature non-stop laughs for 72 straight hours. It all begins on the night of Thursday, October 1 at 11:59pm lasting through Sunday, October 4 at 11:59pm. It's wall-to-wall Martin with 144 airings, which means all 132 episodes will air in the marathon (with a few encores of course). Martin will then join the regular BET schedule on Monday, October 5 airing in the afternoons and evenings. Times vary, but usually afternoons at 2:30pm & 3pm following The Fresh Prince of Bel-Air and in the evenings from 6-7pm with some nights of extensions through primetime. Martin will also get some Saturday marathon block play in the mornings/early afternoons, usually 11am-3pm again following The Fresh Prince of Bel-Air. The other BET off-network series are The Jamie Foxx Show and The Wayans Bros., usually airing in late night blocks from 2-4am. Scandal will air in late nights on Saturday nights from 1-3am. 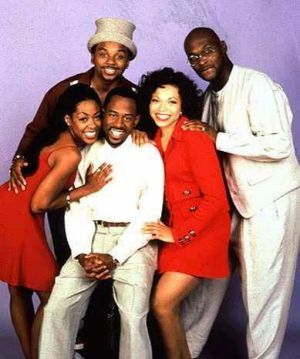 Back to Martin, the sitcom was set in Detroit and starred Martin Lawrence in the role of Martin Payne, a disc jockey with a girlfriend named Gina Waters played by Tisha Campbell-Martin. The series also airs on sister Viacom network MTV2 and on the cable network TV One. Keep it right for continued updates on BET and all things Martin. Tune in and take a look at the exciting new shows coming to ABC this fall as doctor-turned-actor/comedian Ken Jeong hosts ABC Fall Preview Special, airing Friday, September 18 at 8:31pm ET on the ABC Television Network. Shot on location on the set of Ken's new ABC sitcom, Dr. Ken, the funnyman will introduce you to ABC's much anticipated new fall shows, including Blood and Oil, starring Chace Crawford & Rebecca Rittenhouse and veteran actor Don Johnson in his return to network television; Quantico, starring international superstar Priyanka Chopra in her U.S. television debut; the return of The Muppets like you've never seen them before; Wicked City, starring Gossip Girl's Ed Westwick, Erika Christensen and Suburgatory's Jeremy Sisto; as well as Ken's new show, Dr. Ken, executive produced and starring the doctor-turned-actor/comedian. In addition, Ken will reintroduce you to ABC's uproariously funny returning Wednesday night comedies The Middle, The Goldbergs, Modern Family and black-ish, as well as television's most buzzed about night -- the TGIT lineup, which includes Grey's Anatomy, Scandal and last fall's #1 new series How to Get Away with Murder, which is best enjoyed with red wine, popcorn and friends!